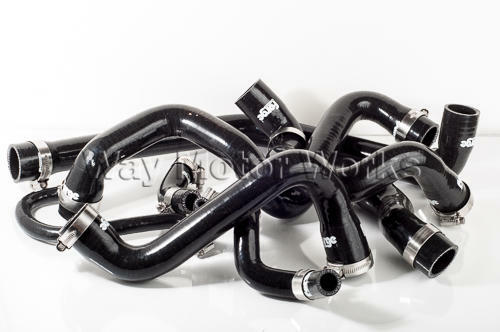 Forge Coolant Hoses for the R55 R56 R57 R58 R59 MINI Cooper S. This set of Forge silicone coolant hoses replace the stock rubber hoses and adds style to your MINI. 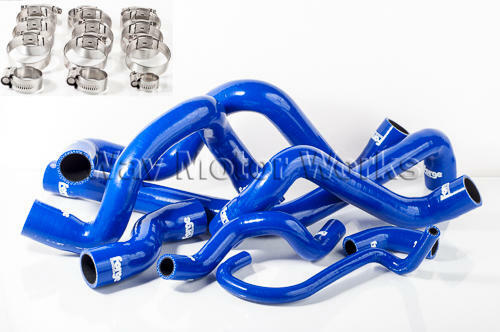 This is a set of 8 silicone hoses as seen in picture. Hose Clamps for each hose also included.